Plutarchi Opuscula. LXXXXII. Index moralium omnium & eorum quae in ipsis tractantur habetur hoc quaternione, numerus autem arithmeticus remittit ad semipaginam ubi tractantur singula. PLUTARCH.. Plutarchi Opuscula. LXXXXII. Index moralium omnium & eorum quae in ipsis tractantur habetur hoc quaternione, numerus autem arithmeticus remittit ad semipaginam ubi tractantur singula. Venice, in aedibus Aldi & Andreae Asulani soceri, . Quarto (279 x 180 mm. ),  leaves, 1050 pages,  leaf, Aldine device on title page and on verso of last leaf. Eighteenth century English brown calf, covers blind tooled to a panel design with a blind dentelle rule, blind fleurons to corners; flat spine in six compartments with gilt red morocco title piece. Title page lightly fingerstained, a pale waterstain in the outer blank margin at the beginning, some XVI century annotation in Greek. A very good copy. Editio princeps of Plutarch's Moralia, a collection of essays on ethical, political, literary and religious topics. 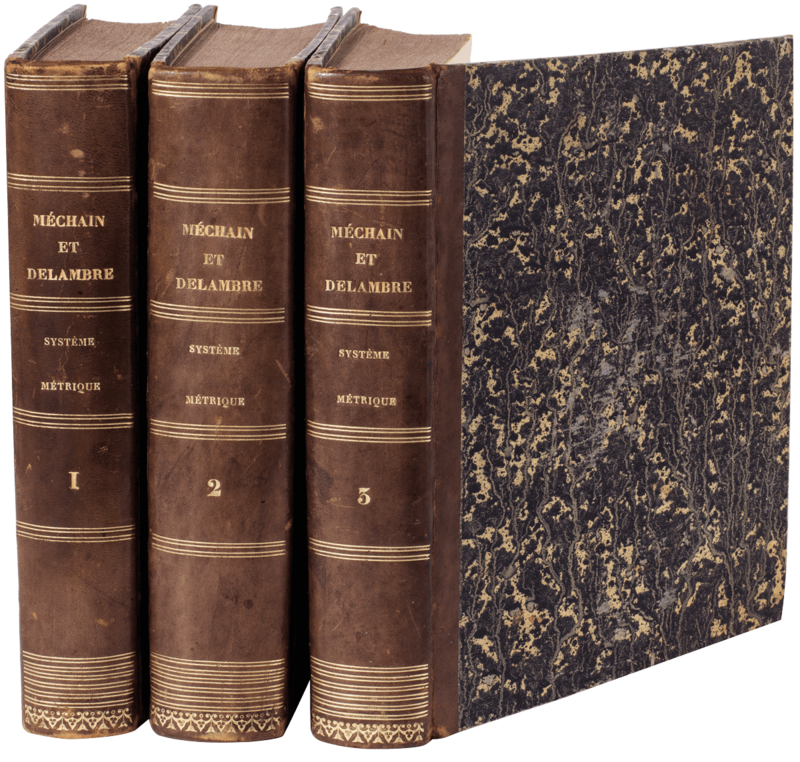 “The 1509 edition of Plutarch was the product of many years' work (Aldus complains in the preface that the work on the Moralia was very difficult and comments that he had nearly been forced to abandon the project many times). The work was edited by Demetrius Ducas, a Cretan scholar who was a participant in Aldus' academy. Ducas was assisted by Erasmus as well as Girolamo Aleandro, who just one month after the Aldine publication published his own, somewhat improved, edition of some of Plutarch's essays in Paris. Renouard and other early scholars guessed that the manuscripts used for the preparation of the text were those which Bessarion had donated to the city of Venice along with the rest of his extensive manuscript library. It now seems unlikely that Aldus or anyone else had access to these materials until nearly a century after Bessarion's death in 1472. In fact, the press copy of much of the Aldine edition of Plutarch has been discovered at the Ambrosian Library in Milan; its state is a case study in how early printers treated these manuscripts. Rather than make a new, corrected, and edited copy of the text for the typesetters, Ducas and others simply wrote changes onto the original thirteenth-century manuscript itself. Parts of the manuscript contain the page markings of the Aldine text, ensuring that the type for a given page ended and started at the correct point. Some of the pages are marked stampato (printed), indicating that those sections had already been printed from another source and there was no need to go over them again. There is evidence from this manuscript that even as manuscript pages were being handed to the typesetters the editing of the work was still in process. Although the direction of the chain lines in the paper implies that this is a quarto book, that is, each piece of paper was printed in four sections and then folded to form four leaves, Renouard notes that the size of the final leaves is so large that if this had been the procedure, Aldus would have needed a much larger press than he is known to have had. Therefore, Renouard posits that he cut the sheets in two and printed them as folios, each piece being printed in two sections and then folded into two leaves and sewn together to form the book.”(In Aedibus Aldi. The Legacy of Aldus Manutius and his press. Brigham Young University, Provo, Utah, 1995. Nr. 18). Adams, P-1634; American STC Italian, 2:614; Renouard, 55, no. 1; Dibdin, 2:171.